helping her clients achieve their goals. A local market expert with extensive community ties, Debi is known for her commitment to research every detail of her clients’ transactions and focus on providing prompt, information-rich communications. 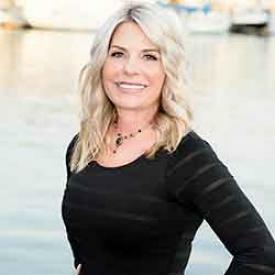 Having specialized in Huntington Beach and the surrounding areas for her entire career, Debi is highly adept at evaluating local property values, as well as determining a specific property’s potential for renovation. With a vast local network of colleagues and professional alliances, she is a trusted source of information for her buyers—capable of uncovering ‘hidden’ listings and quickly drawing from her complex market knowledge. For sellers, Debi leverages her keen eye for design to help them present their homes in the most attractive light possible. A sharp-witted negotiator with acute business sense, she enjoys developing comprehensive marketing plans and networking with her colleagues to provide her sellers with short market times and high sale prices. Reliable and thorough, Debi has an extensive track record of success in serving her clients. She credits her success to her hands-on approach and commitment to ethical business practices, along with her experience in the hospitality industry, where she worked as the Director of Operations for a well-known restaurant conglomerate. Debi’s knowledge of the business world and experience in real estate is backed by a solideducational background, as she holds a degree in Business Administration andManagement. Her love for helping herclients and affinity for working with people has extended to the localcommunity, which she supports through her involvement with Mariners Church and the Make-A-Wish Foundation, as well as the local soup kitchen in Costa Mesa and Big Brothers, Big Sisters of America. A resident of Huntington Beach for the previous 39 years, Debi enjoys spending time with her husband Jim Murray and their four children when she isn’t busy helping her clients or serving the needs of her community. This gorgeous early California-Style "smart" beach Three Level 3 Bedroom, 3.5 Bathroom Home was built in 2015. With a gourmet island showcasing Thermador stainless appliances, wine refrigerator with custom furniture like cabinets and stone counters, it surely does not disappoint. This inviting warm & cozy Mediterranean style features expensive luxury wood framed windows with a 20 year warranty, a custom-built front door and beamed ceilings. The third floor gives you that extra space you need for a bedroom, den, office and game room. Just Blocks to the Historic Huntington Beach Pier, restaurants, Pacific city, City Gym, Several Parks, Distinguished Schools and this location is a prime spot in the downtown streets of Huntington Beach. In More Than 2,900 Square Feet Of Living Area Is Quality!!!!! Absolutely Gorgeous Downtown Three Level 3 Bedroom, 2.5 Bathroom Home- Great Location only 4 blocks to the Beautiful Pacific Ocean at Huntington City Beach. Features include but are not limited, Tumbled Travertine Floors on the main level , Granite & marble counter tops throughout, All Professional Quality Viking Appliances. 2 refrigerator counter drawers, Separate Wine Refrigerator, A water Boy filtration system , A/C, Security Alarm, Plantation Curtains and more. The first floor has a living room with a fireplace, dining room, kitchen powder room, laundry room and kitchen nook and breakfast bar. 2nd courtyard exterior entertaining area. 2nd floor has a master suite with fireplace , large family room with fireplace and 2 bedrooms with a Jack & Jill full bath. The 3rd floor has a loft or 4th bedroom a bath, sundeck & Ocean breezes. Walking distances to the Pier, Main Street, The new Pacific City and all the Shopping and Restaurants, Bike Path, Dog Beach, Volleyball Courts, new Kids Play Equipment on the Sand, Parks, City Pool & Gym. Come experience this downtown living in this quality home which is rarely available. It Was Built In 2005 With Approximately 2,853 Square Feet Of Living Area!!!!! SELLER MOTIVATED!! Harmony Ranch offers an unprecedented, unique opportunity.Located off the 10 freeway near major urban centers and resorts as well as The Cabazon Dinosaurs, A completely private compound that is hidden behind a gated entrance, the Estate is comprised of Three Distinct Residences , two large barns, a corral and several storage buildings, as well as miles of horseback riding and mountain biking trails. Having a serene, pastoral setting on 138 acres ensures the ultimate in privacy and solitude, now and into the future; having a prime location adjacent to the Riverside County Regional Park open space and the historic, 2,400 acre Highland Valley Resort adds to the long-term value and stability of the investment. Scenic views of the countryside provide a gorgeous backdrop for one of the Homes at Harmony Ranch, which also boasts a private well with a looped water system that allows for an ample supply for the Residences and grounds. With W2 zoning, the only limit to what could be done with this pristine and secluded ranch is the imagination. The mountains, meadows and valleys offer numerous opportunities for viewing local wildlife, including hawks, deer and bears, making the Property a perfect venue for a private family compound, eco-friendly resort, bed and breakfast or corporate retreat.Counties further enhance the value of this completely unique and distinctive Estate. For those who want to make a statement, create a nature preserve or a business, You have found it here! Enjoy The Approximately 2,524,738 Square Feet Of Land You Get Here!!!!! Interior Cul-de-sac friendly - family Location & Stardust Neighborhood. This adorable 4 Bedroom 2 Bathroom Single Level Home has an extra large backyard for entertaining. A large driveway for additional parking. The kitchen has Granite countertops, newer cabinets. Amenities include a newer roof, scaped ceiling and crown molding. New Water heater, dual pane windows and tile flooring. Located near Excellent schools, freeways, restaurants, and all that the city of Huntington Beach offers. Meticulous Is The Word Used In Describing This Approximately 1,280 Square Foot House!!!!! It's A Real Lifestyle In Approximately 1,700 Square Feet Of Living Area!!!!! Situated and on a premier cul-de-sac location in the family friendly Franciscan Fountains Neighborhood, this 4 bedroom + bonus room, 3 bath Two Level Home offers both a warm and welcoming Beach Style. Expansions and Improvements were made in 2006 adding approximately 982 ft.² bringing the total square footage to approximately 2,803 ft.² Improvements Included an upstairs bonus room, master bedroom with spacious walk-in closet and a good sized walk-in master shower boasting seven shower-heads! In addition to the Homes 3 fireplaces, this Home also features a spacious inside laundry room. The upstairs bonus room is an excellent room for your choosing (a game /TV room, huge office, kids playroom, gym, etc.) Additional features Include an abundance of closet and storage space, Including a stand-up attic. The backyard has a beautiful , cozy fire pit and seating area that is perfect for entertaining and relaxing. A large fruit bearing avocado tree that can be deleted to have a large space for a spa, grass area, etc.. or keep it for the avocados. There are raised beds for vegetables also accompany the Property. The Home is in a premium location, very near proximity to the beach, award-winning schools, restaurants, shops, Central Park, the equestrian center, main street, and the New Pacific City. You Can't Find This Nifty Of A Property In The Best Area Of Town Than Here!!!!! This is a fabulous deal to live at the Beach. This charming upstairs 2 bedroom, 1 bathroom Condo has all the amenities and comfort you need. A cozy fireplace warm the living area. The kitchen is light and bright. Plantation Curtains and dual windows make this a gem. There are 2 detached garages! Just 3 Blocks to Huntington City Beach. In More Than 900 Square Feet Of Living Area You'll Find Coziness!!!!! Live at the Beach in this adorable 3 Bedroom, 2 Bathroom Coral Shores Cape Cod Style Single Level Beach Home. This adorable Home is situated on a cup de sac and across the street from Central Park ! While just a short bike ride to the Beaches. The kitchen has granite countertops and the Home is bright with tons of natural lightening. 2 car attached garage a huge sized lot ready for a pool! Laminated wood floors and tile make this cozy beach Home ready for you to make it your own. You'll Get Approximately 1,547 Square Feet Of Living Area Here!!!!! HUNTINGTON HARBOUR MAINLAND UNDER 1 million!! Great Value to live at the Beach. Fantastic Location! Across the street from Trader Joe's, Restaurants, Post Office.Walk to the Beach, or take your kayak can cruise The Harbour. This 3 Bedroom, 2 Bathroom Home has new paint, scraped ceilings and carpeting. The single level atrium Home is unique and highly desirable. Make it your own. The Approximately 2,104 Square Feet Of Living Area Has Much Potential!!!!! Exquisitely Appointed Plan 500 Club series in the Prestigious area of Seacliff on the Greens! This 4 bedroom 2.5 bath Three Level Townhome boosts an additional loft for use as a children's play room,exercise room, den, office! The Corner Unit has beautiful garden views looking to the pool from the kitchen nook. Entertain your family & friends in the indoor / exterior wrap around patio off the dining room and kitchen. The master bedroom is private and tasteful with a cozy fireplace and sunken in bathtub. Amenities include but are not limited too: Crown molding, A/C, Stainless Steel appliances, Fresh paint, pool and spa. The Location of this Townhome is within walking distance to the Beach, bike paths, the Elite Seacliff Country Club Golf & Tennis Club. The Pier, restaurants, shopping and the relaxing lifestyle of Huntington Beach is the reason most folks are living here, not to forget the NEW PACIFIC CITY with even more delicious restaurants and shops. Enjoy Your Approximately 2,231 Square Feet Of Living Area Here!!!!! It's Sensational to live at the beach. This 1 bedroom 1 bath Pierhouse Condo sits West facing with Beautiful OCEAN Views from the Balcony. The vaulted ceiling provide brightness and you can feel the Ocean breezes. The amenities of this appointed Condo include new kitchen countertops, stainless steel appliances, dual pane windows, travertine flooring, Travertine stone in the bath, ceiling fans, mirrored wardrobe doors in the master bedroom. The community has a Gorgeous Pool , Spa and BBQ area with Ocean views. The Beach Condo is perfect as a primary residence, 2nd home or investment property. additional amenities are the gym, exercise room, pool exterior showers, clubhouse for large gatherings. Walk to the Huntington Beach Pier , downtown, shopping,restaurants, bike along the path, dog beach, the New PACIFIC CITY with additional new restaurants, shops! The Approximately 781 Square Foot Condo Shows Well!!!!! Highly Desirable Plan 24 Bolsa Landmark Home located on a private cul-de-sac. Very family oriented neighborhood. Excellent school District. The 4 Bedroom, 3 Bathroom Two Level Home boasts with a charming Pool & Spa. The Romantic front Courtyard Patio is perfect for morning paper & tea. Lush garden very tropical entrance. Plantation Curtains, hardwood, tile and carpeted floors. Living in Huntington Beach makes you near to all of the shopping, restaurants, downtown, dog beach and pier. You'll Get Nearly 2,500 Square Feet Of Living Area In This Meticulous Property!!!!! Spectacular Ocean view Condo!! You can purchase fully-furnished (or not your choice) located across the street from Huntington City Beach. Soak in the sun and the view from your HUGE exterior patio !! You won't want to leave ! Condo is decorated darling all beach themed! Some amenities include wainscoting, crown molding, and recessed lighting, new dual pane windows & sliding door.. A wet bar complete with kegorator! This home is perfect for entertaining. Kitchen includes beautiful granite countertops with travertine backsplash a breakfast bar all stainless steel appliances. The entire home has bamboo hard wood flooring and plantation curtains. Granite bathroom with a travertine shower. Fabulous opportunity to own as a 2nd home or investment property. Enjoy The Approximately 800 Square Foot Condo With A View!!!!! Beautifully Appointed coastal 4 bedroom plus Loft beach house with 2.5 Baths. Situated on one of the most desired streets in all of downtown Huntington. The Master bedroom is downstairs, 3 bedrooms plus loft upstairs. The home has Brand New 2015 Construction in the Kitchen & Master Bath. The ever-popular Bright Concept flow in Kitchen with large granite countertops and breakfast bar leads to a large Living room and straight into the tranquil backyard with a beautiful Fountain. An entertainers Delight!! New appliances and LED recessed lighting. Marble flooring and all new interior and exterior paint that captures the Coastal and Beach feel. All new dual pane windows and master bedroom French doors. Mirrored wardrobe doors, Tommy Bahama ceiling fans, and all new carpeting. New wireless thermostat. Tankless water heater. A two car garage with Epoxy flooring and Built-in Cabinetry. Walk several blocks on this street to the beach, downtown, the pier, dog beach, restaurants, shopping, surf, bike paths, Not to mention walking distance to the Huntington's Distinguished school district. This beautiful attached home is so cute & charming and a bedroom on the main floor is a rare commodity downtown!! This More Than 2,200 Square Foot Home Has Motivated Sellers!!!!! Gorgeous top floor third level corner unit 2 Bedroom, 1 Bathroom Pierhouse Condo at the Beach. This Two bedroom and one bath condo complex sits across the street from the ocean. Hardwood floors, granite countertops, recessed lightening and upgraded limestone bath countertops with beautiful shower! The tranquil exterior patio has picturesque views of sunrises amongst beautiful Palm Trees. Have your family & friends for a BBQ, Pool & Spa party and relax as you look at Huntington City Beach & The Ocean. Relax In Almost 1,100 Square Feet Of Living Area Here With Views!!!!! Exquisitely appointed Mediterranean Style Trinidad Island 4 Bedroom, 2.5 Bathroom Two Level Home. Enjoy the brightness of the indoor / exterior flow and a hidden private jacuzzi , an exterior seating area with fireplace, perfect for entertaining. A 35 foot Boat slip located on the Main Channel. A mini master suite with bath on the main level. The kitchen has beautiful grantite countertops with tumbled travertine edges, Newer kitchen heat resistance Blanco sink. The dining room has a built in buffet with glass wine cabinet doors. French doors lead to the backyard from the kitchen, dining and living rooms. The master bedroom bath has been completed remodeled in 2014 shower with Newport Brass shower heads. All new toilets and interior doors, recessed lightening. Plantation Curtains . This Home has many upgrades. Enjoy evening boat cruises in the Harbour along with kayaking, paddle boarding and strolling the Island. You'll Get Almost 2,800 Square Feet Of Luxury Living Area Here!!!!! An Absolute turnkey- highly upgraded Santa Barbara Mediterranean style Three Level 3 Bedroom, 3.25 Bathroom Beach Home. Located on the most desirable street in Downtown Huntington Beach. This Home has it all, all Viking appliances, built-in entertainment centers in kitchen and family room, marble vanities countertops and flooring in all bathrooms, beamed ceilings, recessed lighting, surround sound, fan lights, moen hardware fixtures, spanish tiles, central vac, plantation curtains, beautiful wood interior doors. Walk down the street to the Beach(Dog) Beach, walk to Smith, Dwyer and Huntington Beach High School (Award winning schools), bike trails, Pier, restaurants and shops. Master suite has a fireplace and spa jacuzzi tub, rain shower. Third level deck all plumbed and ready for an exterior BBQ, spa. Bonus room on third floor is truly a extra "bonus." It Was Built In 2006 & It Has Approximately 2,875 Square Feet Of Living Area!!!!! This is a Beautiful Spacious Seacliff Palms Two Level 2 Bedroom, 2 Bathroom Townhome. Each bedroom with a full bath that have been upgraded. The Upstairs Loft is a Second living space with Fireplace , very cozy.The Property Provides a 2 car attached garage. The Gated Community provides a pool, spa wonderful for entertaining. The home has been tastefully decorated and is completely move in ready. Walk to Peter Green Park and Bike to Huntington City Beach. Enjoy Your Approximately 1,519 Square Foot Property Here!!!!! Come See This Huntington Beach Beauty That Has Been Completely Remodeled And It's All Refinished From The Front Driveway And The Front And Back Automatic Sprinklers To The All New Flooring, New Appliances, New Countertops, New Baseboards, New Sinks, New Hardware, Granite Counters In The Kitchen As Well As New Laminate Hardwood Flooring. There's Also New Paint And Scraped Ceilings. Enjoy 4 Bedrooms, 2 Bathrooms And Approximately 1,400 Square Feet Of Living Space In This Oasis. The Interior Tract Location Is In An Excellent School System And Close To The Beach, Freeways, Shopping And Nice Restaurants. Now Call Me And Get Your Offer In!!!!! Take A Look At This Beautifully Upgraded Single Story Springdale South Pool Home In Huntington Beach. This Property Has 4 Bedrooms, 2 Bathrooms And Approximately 1,336 Square Feet Of Nice Living Space. Amenities Include: All Textured And Scraped Ceilings, Brand New Pool Tile And Replastering As Well As All New Equipment (A $10,000 Dollar Value). Enjoy Dual Pane Windows, French Doors, Direct Access To The 2 Car Garage, Highly Upgraded Baths, Remotes For All Of The Interior And To The Exterior Pool Lights. You'll Like Having Cable/Internet Outlets In All Of The Areas. The Newer Water Heater Works Well. Located Near Shopping, Freeways, Parks, Two Schools And The Beach. This Is Very Clean And Move-In Ready!!!!! First Team Estates | Christie's International SOLD!!!!! You'll Like What This Charming Single Story Family Home On A Cul-De-Sac Has To Offer. There Are 4 Bedrooms, 2 Bathrooms And Approximately 1,452 Square Feet Of Living Space. Amenities Include: Dual Pane Windows, An Individual Laundry Room, Great Curb Appeal And A 2 Car Attached Garage. Close To Shopping, Schools, Freeways And Much More. I've Priced This Below The Comps For A Quick Sale!!!!! Here's A Beautiful Spanish Style Single Story Prestige Home. There Are 3 Bedrooms, 2 Remodeled Bathrooms And Approximately 2,000 Square Feet Of Living Space. Amenities Include: Dual Pane Windows Throughout, Crown Molding, Ceiling Fans, Air Conditioning, A Huge Family Room, A Surround Sound System, An Entertainment Center, Full Copper Plumbing, A Newer Roof, A Built-In Barbecue And A Spa In The Good Sized Back Yard. Enjoy Having A 2 Car Garage. Situated In An Excellent School District And You're Close To Several Freeways, Shops, The Beach, Parks And Nice Wetlands. The Sellers Are Extremely Motivated To Sell This Now!!!!! This One Bedroom, One Bathroom Ground Level Condo Has Approximately Eight Hundred And Seventy Three Square Feet Of Living Space. It Was Painted A Week Ago. The Carpets Have Been Cleaned And Molly Maid Was Just Here. Move-In Ready. You Get Inside Laundry, So No More Going To The Laundromat. The Washer, Dryer And Refrigerator Are Negotiable. There's A Captain's Bed In The Living Room, Great For Guests. Boat Slips Are Also Available. Walk To The Marina, Shops, Movies And Restaurants. You're Even In An Excellent School District. Freeways Are Close Too!!!!! It Is Situated In An Excellent Family Beach Close Neighborhood. The Seller's Have Priced This Wonderful Two Story Bolsa Landmark Home To Sell Immediately!!!! The Previous Comp Was At: $1,010,000. There Are 3 Bedrooms, 2.5 Bathrooms And Approximately 1,838 Square Feet Of Living Space. Incredible Amenities Include: Total Recreational Vehicle Parking, A Driveway Including A 3 Car Attached Garage, Beautiful Granite Counters In The Kitchen, 18' Designer Tiles Throughout The House, A Water Purifier And New Garage Doors. You'll Even Get Scraped Ceilings, Recessed Lighting And A Great Backyard That Is Plumbed For A Swimming Pool, Spa, Barbecue And Or A Firepit. Here Is A Beautiful Two Story Condo In Huntington Harbour!! There Are 2 Bedrooms, 1.5 Bathrooms And Approximately 1,054 Square Feet Of Living Space. Wonderful Amenities Include: Hardwood Flooring, Recessed Lighting, Scraped Ceilings, A New Water Heater, A New Garage Door, New Carpet, New Paint, A Beautiful Tile Entry And A Beautifully Remodeled Master Bathroom With Designer Baseboards. You Pay Low Association Dues Of $196 Dollars A Month. That Gives You Access To The Tennis Courts, A Swimming Pool, Spa And Clubhouse. Walk To The Ocean, Shops And Restaurants. There Is Even An Awesome School District..
Just Submit Me An Offer Now!!!!! Experience This Rarely Available California Classic By The Sea Two Story Home On A Corner Lot Of A Fabulous Cul-De-Sac In An Awesome Neighborhood. There Are 4 Bedrooms, 2.5 Remodeled Bathrooms And Approximately 2,245 Square Feet Of Living Space. Amenities Include: A Huge Family Room Permitted Addition With Skylights And Vaulted Ceilings, A Private Spa, A Great Outdoor Deck Which Has Delicious Red Grapes Growing On Vines As Well As A 3 Car Attached Garage With An Additional Extra Huge Storage Area. Close To The Beach, One Block To The Wetlands, In An Excellent School District, Near A Neighborhood Park, Close To Shops And Restaurants. Don't Miss This Opportunity To Live At The Beach!!!!! Welcome To This Completely Remodeled California Classic Home That Has $75,000 Dollars In Upgrades Within The Last 6 Months. It Features 4 Bedrooms, 2 Bathrooms And Approximately 1,433 Square Feet Of Living Space. Amenities Include: A Beautifully Remodeled Kitchen With Granite Countertops And A Kitchen Island. There's Also Maple Cabinetry. All Of The Appliances Are Stainless Steel. A New Roof Is Included Too. Relax In The Newly Replastered Swimming Pool And Spa. All Of The Windows Are New And Are Dual Pane And The French Doors Are New As Well. There Is New Hardwood Flooring, New Paint, And Recessed Lighting. Too Many Features To List!!!! Walk To Golden View Elementary School And Central Park. Close To Restaurants And Shopping!!!! Make This A Must See!!!! Gorgeous Is The Word That Fits A Good Description For This Pacific Landing Home. This Magnificent House House has 3 Bedrooms, a Large Loft, 2.5 Bathrooms and Approximately 2,176 Square Feet of Living Space. Amenities Include: a Dramatic 2-Story Turret-Style Foyer with Italian Tile Flooring, a Gourmet Kitchen with Granite Counter Tops, Custom Tile Flooring, a Center Island, a Walk-In Pantry, Maple Cabinetry and a Breakfast Nook. The Elegant Formal Living and Dining Room are Nice. Enjoy the Family Room with a Wood Burning Fireplace, a Built-In Entertainment Center and a Library. There's also a Large Master Suite with High Ceilings, a Huge Walk-In Closet and a Ceiling Fan. The Luxurious Master Bathroom Features a Romantic Tub, a Separate Shower, Dual Sinks, a Built-In Vanity and Tile Countertops. You also get a Large Upstairs Loft that can be a 4th Bedroom, a Library an Office or Den. The Spacious Secondary Bedrooms have Ceiling Fans and Mirrored Closets. There's an Inside Laundry Room. Wood Blinds and Custom Window Coverings Make This Property Special. Recessed Lighting, Custom Light Fixtures, Raised Panel Interior Doors, Extra Insulation Throughout, Upgraded Neutral Plus Carpet, a Direct Access Garage with a Roll-Up Door and a Built-In Work Bench and Storage Units Come with This Residence as well. There is Central Heating and Air Conditioning too. Notice the Professional Landscaping and Custom Brick Hardscape - The Sprinklers are on Timers. Close to the Beach, Golf, Tennis, Shopping, Fine Dining and Excellent Huntington Beach Schools, Including State-of-the-Art Seacliff Elementary. Turnkey!! Turnkey!! Turnkey!! Here is the Best Home in Huntington Harbour, Located on Trinidad Island. This Two Story House has 4 Bedrooms, 3.5 Bathrooms and Approximately 2,798 Square Feet of Living Space on a Good Sized Lot of Approximately 6,018 Square Feet. Amenities Include: a Salt Water Spa, Limestone Granite Kitchen Countertops, Tumbled Marble in the Baths, Oil Stained Garage Floors, Fan Lights and a Wrought Iron Staircase. You also get 3 Fireplaces and an Unbelievable Backyard this is Perfect for Relaxing or Entertaining. A 3 Car Attached Garage is Included too. Too Many Amenities to List!! Situated in a Sensational Location Within Walking Distance to a Neighborhood Park and Close to Marinas. Magnificent And A Must See!! Turnkey is the Word that Best Describes this 2 Story End Unit in Harbor Heights Townhomes. There are 2 Spacious Bedrooms and 1 Nice Bathroom. Highlights include a Newly Remodeled Kitchen that includes: a New Stove, Travertine Flooring, Corian Countertops, Ceiling Lights, Base Boards and Moldings. The Master Bedroom has a Walk-in Closet and a New Ceiling Fan. You also get New Shower Fixtures. Enjoy the Smooth Ceilings and Recessed Lighting. The Unit has also been Freshly Painted and comes with Central Air Conditioning. Another Point of interest is the Enclosed Brick Patio with a Bubbling Fountain. Located in a Great Association with a Community Swimming Pool and Lots of Greenbelt Areas. Huntington Harbour Paradise can be found in this Beautiful Humboldt Island Home. There are 5 Bedrooms, 3 Bathrooms and Approximately 3027 Square Feet of Living Space. Special Amenities include Hardwood Flooring, French Doors, a 1 Year Old Roof and a New Furnace. The Nice Kitchen has a New Dishwasher and a Bay Window Kitchen Nook. Other Highlights are Mirrored Wardrobe Doors, Vaulted Ceilings, an Expanded Dining Room and a 5th Bedroom which could be used as your Study or Office. There's an Atrium with a Fountain which is Nice for Entertaining. Enjoy the Retiled Sparkling Swimming Pool and an Outdoor Barbecue in the Lush Backyard. You also get a 2 Car Attached Garage with Built-in Cabinets. It's a Lot of House for a Great Price!! Ideally Situated to Nearby Schools such as Award Winning Harbour View Elementary and Nearby Shopping at the Huntington Harbour Mall! !